When any gift-giving occasion comes around and I ask my dad or Chris what they'd like they always either say "nothing" or "I could do with some socks". I tend to go for plain black ones but they're a big boring aren't they? 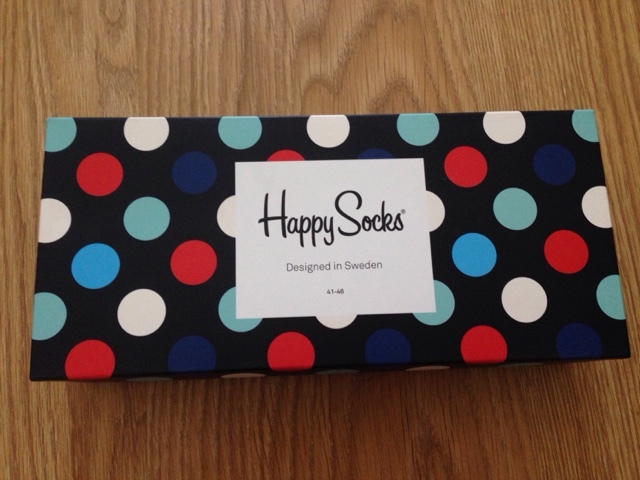 Fat Buddha have a lovely set of Happy Socks which are perfect to gift to dad. 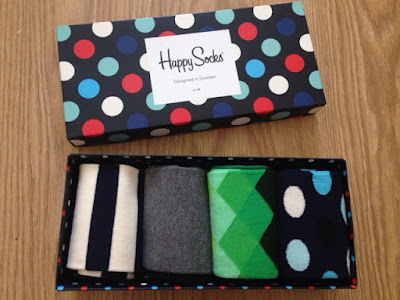 They are a set of four (polka dot, argyle, block neon and stripes) which come in a gorgeous dotty presentation box. 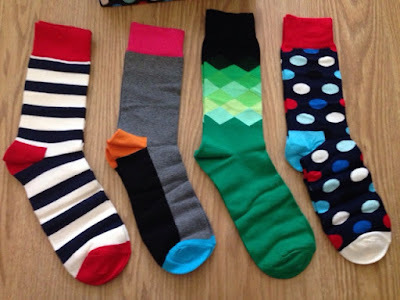 The socks themselves are made from cotton, polyamide and elastane which makes them so soft and comfortable on your feet. They are suitable for sizes 7.5 to 11.5 and they're to brighten up dad's sock drawer and his outfits! A pack of Happy Socks retail at £35 but they are available from Fat Buddha for an amazing £15! You can find out more at the Fat Buddha website and you can also follow them on Facebook and Twitter.